Home › AgileLion Institute › Why Learn Kanban Ace? Agile is a mindset, and a way of doing things that enables us to quickly respond to change, and deliver value in spite of uncertainty. Agile's way of doing things focuses on delivering value. Value here means delivering things the customer needs, or wants from us. Before the Agile Manifesto in the 1980s and 1990s there was a trend to use traditional Project Management & Engineering tools like Gantt charts, MS Project, PERT and the Critical Path Method to manage software projects. In addition complex or “heavy” methodologies like Waterfall and RUP were in fashion. The problem is that building software is not like building a house or a bridge. Most of the effort is invisible, only user interfaces are visible and that is a small portion of the effort. In addition building a software solution implies that the problem is well known, and users know exactly what they want. However this is seldom the case, users have an idea of what they want, but as they see the screens or the software working they usually will change their minds, sometimes completely! Add to this the pressures of the market and you have 21st century business: heavy competition, fickle users, and change everywhere. 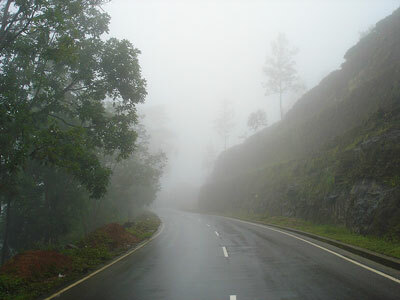 Many times it feels like driving in a foggy road, where you know very few things for certain, yet you must move forward. No wonder is hard to develop software with tools made to build buildings! We need Agile! 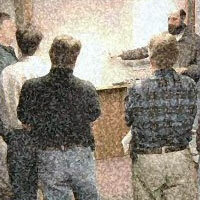 On February 11, 2001, 17 Software Professionals met at Snowbird Ski Resort, in Utah, to discuss how their Light Weight methods to run and manage Software projects could solve the nightmare that heavy methodologies, and old engineering tools had created. Highlighted above are the 4 Agile Values: People and Communications, Working Software, Collaboration and Embracing Change. In addition the Agile Manifesto identified 12 Principles to take those values into practice. Agile itself is not any individual method like Scrum, XP, Crystal or even Kanban. Agile, as previously stated is a mindset and a way of doing things, expressed in a set of values and principles to deliver on its vision of working software, increased productivity and value. 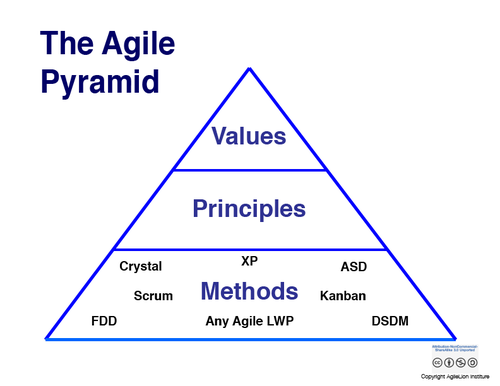 An easy way to visualize and understand this is to see our Agile Pyramid on the right, below, and click on it to zoom. II. What is Kanban Ace? In short Kanban Ace is an Agile method, just like Extreme Programming, Scrum or Crystal. This means Kanban is a way to achieve Agility for Software Development or IT while focusing on delivering value just as the Agile Manifesto writers intended. The Lean Movemement is central to Kanban Ace, and it makes it unique, and different from the majority of other agile methods. Lean's focus is to minimize waste, while delivering value. So Lean questions every activity, and reminds us that the purpose is to deliver, not to just be busy. Lean was born in Toyota, and Taiichi Ohno literally wrote the book on it: the Toyota Production System. Another valuable contribution comes from Eliyahu M. Goldratt whose book the Goal introduced the Theory of Constraints, a way to analyze and improve any system by leveraging the key factors that influence it's performance. The last major influence are the later works from W. Edwards Deming who is the father of System Thinking, an approach that sees improvement as dependent on our ability to understand and influence whole systems, not just small areas. Kanban Ace builds on top of Lean's major influences mentioned above by adding a select group of values, principles, methods and techniques that makes them actionable and useful for Software Development, IT, Business, Management, Marketing, Design or any innovative business or creative area. First Kanban Ace is both Agile & Lean, and is designed for simplicity and effectivenes, being able to improve the productivity of any organization or project. Kanban Ace starts with Open Kanban know-how and adds additional techniques and tools to answer the needs of people in IT, Software Development, marketing and management. Second Kanban Ace is more than just a methodology; it is a new way to manage work. Kanban Ace welcomes leadership from all areas of IT including Project Managers, Development Managers, CTOs, and CIOs to deliver value in an effective way that makes the most of their resources, their budget, and their team. Third Kanban Ace embraces Technical Excellence. While Scrum, LKU Kanban and other methods argue that Technical Excellence can be left out; we disagree, it is a major mistake to ignore technical excellence. How many times have you had to deal with a flawed product not because of bad project management, but because of horrible technical execution? Like wearing a defective parka in winter, or having your favorite app crash in front of you, technical excellence is not optional, is a must to deliver quality solutions everywhere. Kanban Ace prevents this by adding techniques related to Technical Excellence such as software Release Management, Test Driven Development, and portfolio level dashboards to organize work, in addition we welcome Extreme Programming and the wealth of knowledge it brings to IT. For Project Managers you will be able to see and know what is going on in your projects in minutes, not hours. Work will be visible and manageable. No more hours spent trying to manage a project using MS Project or Excel. For Managers and VPs it will allow you to see the big picture of a project or operation, and in addition it will help you improve all of it to make your department, your team more productive and effective. For Agile or Lean Coaches and Consultants it will allow you to offer your customers a fresh Agile & Lean alternative that is easy to implement, but very powerful. Unlike Scrum, the Kanban Ace method does not need new roles, or radical changes. Instead Kanban Ace provides you a smooth and visual way to improve continuously with a minimum of overhead. If you would like to license our course and certification to train your students or customers, just contact us directly to discuss details.